This whole scamming enterprise based on 'THE Holocaust' as purely factual history, and the mass-deception that this flawed and deliberately out-of-context history has created in the minds of the majority, appears to be unravelling in Poland. Its possible to deceive by omission, and 'the H-narrative' has been a huge deception by omission as well as commission. They took their self-centred deceit too far, and for too long. NO-ONE likes to be lied too. No-one likes that, PLUS being forced to keep silent, and forced go along with the lie. The ensuing controversy has sparked a war of words between Polish and Israeli politicians, and an outpouring of antisemitic[?] rhetoric in Poland as nationalist and pro-government media seek to portray the country as under attack from an international anti-Polish campaign orchestrated by foreign powers and Jewish advocacy groups abroad. Who is running Russian Times news?? Check out this 'news' story and look at the photos they got to go with it. Jewish people have “a completely different system of values, a different concept of truth” Henryk Zielinski, a priest and editor-in-chief of Catholic magazine ‘Idziemy’ (‘We are going’) told broadcaster TVP during a show aired last Saturday. He proceeded to claim that truth was a very flexible notion for Jews. In support of his claim, Zielinski claimed to have good knowledge of Jewish spiritual literature, citing the Haggadah, namely a text that describes the Biblical story of the Jewish exodus from ancient Egypt. “Often these stories have nothing to do with facts” noted the Catholic priest. It also lambasted TV host Michal Karnowski for not challenging Zielinski’s views. He is not the first Polish public figure to make an odd reference to Jewish people or the Holocaust, fueling the ongoing spat between Warsaw and Tel Aviv. Facts weren't important in this instance. It was desired to tell a story of liberation by black GIs and so that was told in a very dramatic and detailed way - even though it was undeniably untrue. The accusation that Jews collectively have their own perception of truth which they often distort to serve their own interests, was not the part that interested me most in the news article, Blake. It was that RT chose to illustrate that with photos related to the Jewish 'holocaust' narrative. Which I think could be subtle subliminal messaging from RT. Do you see? It subtly or subliminally suggests that their H-narrative — which is based perhaps 98% upon Jewish testimony — is an example of Jewish distorted 'truth'. 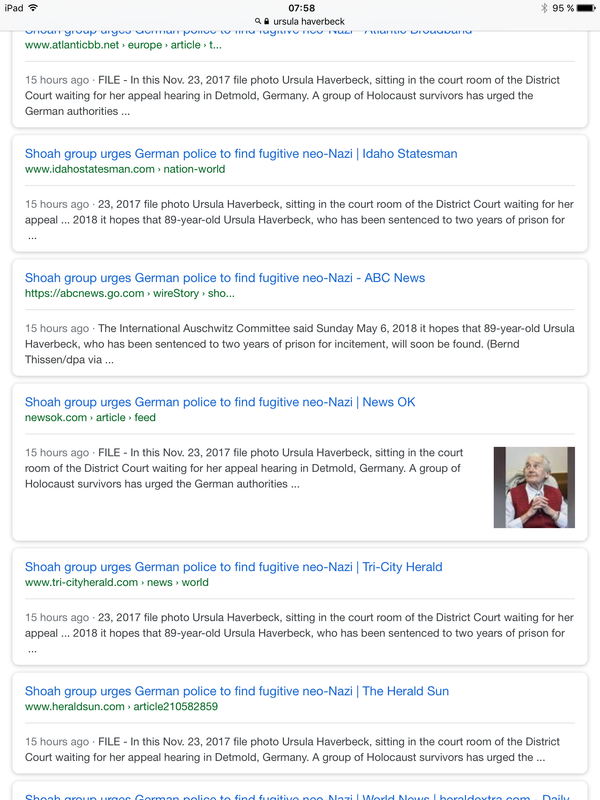 The 'news' story posted by Fritz Berg is being repeated in numerous news media in EXACTLY the same format, and all appearing at the same time. Q. Who has such control over so many news media outlets? So I did a quick search. It is copyright of The Associated Press (AP). It appeared on numerous news-media websites simultaneously with exactly the same heading, photo and text. Q. So who are the AP and who owns it/controls it? The Associated Press (AP) is a U.S.-based not-for-profit news agency headquartered in New York City. Founded in 1846, it operates as a cooperative, unincorporated association. The AP is owned by its contributing newspapers and radio and television stations in the United States, all of which contribute stories to the AP and use material written by its staff journalists. The AP news report, distributed to its members and customers, is produced in English, Spanish and Arabic. As of 2016, news collected by the AP was published and republished by more than 1,300 newspapers and broadcasters. The AP operates 263 news bureaus in 106 countries. It also operates the AP Radio Network, which provides newscasts twice hourly for broadcast and satellite radio and television stations. Many newspapers and broadcasters outside the United States are AP subscribers, paying a fee to use AP material without being contributing members of the cooperative. They are using the term neo Nazi in an attempt to disparage her: they clearly have no idea of the difference between a National Socialist and a Neo Nazi. I will put this simply with two photos. There are many more but hopefully those doubters will get the idea. 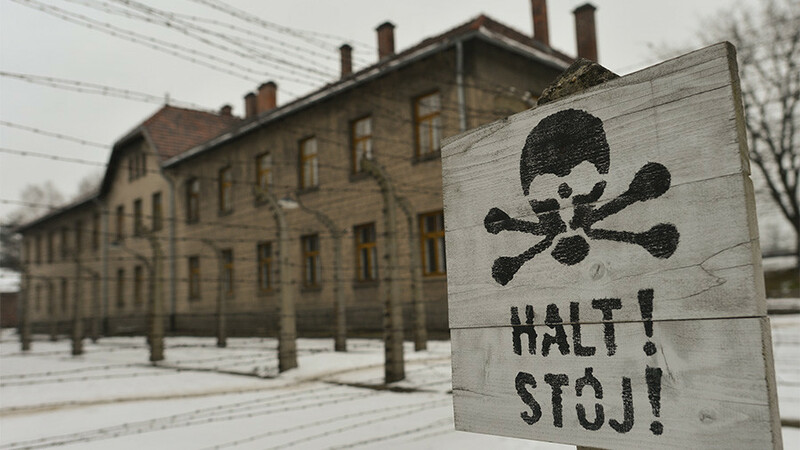 Staff say they have suffered a campaign of disinformation and hate from Polish nationalists"
"...the home of one foreign guide was attacked and supporters of a convicted antisemite filmed themselves repeatedly hectoring their guide during a visit to the camp last month." "Dozens of articles on dodgy websites, hundreds of Twitter accounts, thousands of similar tweets, profanities, memes, threats, slanders, denunciations...."
"The museum has become increasingly assertive in its rebuttals, regularly intervening in discussions on Twitter and publishing a long list of false claims that have been made about the museum, ranging from the issue of Polish flags to the accusation that former Polish prisoners were not invited to a ceremony in January to commemorate the camp’s liberation." Good it is about time the Poles woke up and realised Auschwitz is a hoax and the staff are a part of a Disney complex. As with religion people do not evidence their beliefs but they do have belief in the evidence when presented in a credible manner. This is Politics Nessie and the chickens are coming home to roost. We understand the FSB and the SVR will help find the demise of the 1.6 million murdered Germans. This genocide of German people including Juden may have been a Stalinist program. Too early to say yet. Never let the masses forget it for a moment. Keep it in their 'news' day after day, week after week, year after year. Never forget to tell people to never forget. That way when they hear the truth they won't be able to believe the scale of the deceit.